A lot of conservative Christians like to argue, as do atheists, that the Qur’an is full of barbarism and misogyny. Unlike the atheists, though, they forget that their own Bible is also full of horrific verses. So the Dutch pranksters at Dit Is Normaal ran an experiment. They bought a Bible, but changed the cover to say it’s the Qur’an. Then they asked people to read passages and give their thoughts. 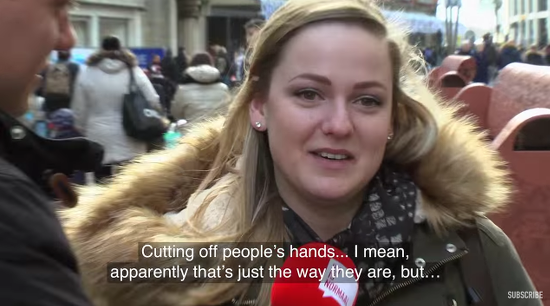 It’s almost as if these people hadn’t read their Bibles… but that’s impossible, right?